How to create a System Recovery Drive for my Windows 10 computer? 1. Insert a new USB drive with 16GB or more storage size. 2. Search and run "Create a recovery drive". You see the "Recovery Drive" screen. 3. 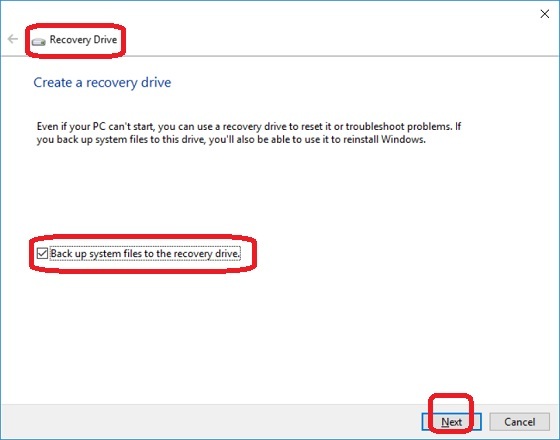 Check the option "Back up system files to the recovery drive" and click "Next". System starts to prepare data. 4. Select the USB drive and click "Next", when the data is ready. 5. Wait for the computer to finish creating the system recovery drive. Take out the USB drive and label it as "Recovery Drive Windows 10".